Ball bearings are small metal balls are used within machines to reduce friction between parts and prevent wear and tear on the components. The concept is simple; a rolling component will produce less friction than a sliding component and so the parts will not need to be replaced as often. The idea sprang from as far back as the ancient Egyptian days, where people used cylindrical rollers to move the large and heavy blocks of stone which are needed for the pyramids. This concept was also used during the creation of Stonehenge. Have you ever played with a yo-yo as a child? These simple toys have been around for generations and they can be a lot of fun, especially when you learn some tricks. Some of the cheap yo-yos are made of plastic, but any high quality yo-yos will have ball bearings in their centre which helps them to spin more easily. What could be more relaxing than sitting on a peaceful river bank on a summer’s day, casting your line? Ball bearings also make this possible! They are used in fishing reels to reduce the friction when turning the wheel. The type of ball bearings used in fishing reels are usually ceramic, as they are less likely to rust if the reel gets wet. Did you know that ball bearings also help you to tell the time? They have been used in clocks for many years to facilitate the movements of the hands on the clock face. The next time you jump on your bicycle and ride to the corner shop, remember that ball bearings are helping to make that possible. Bicycles use ball bearings to reduce friction in a number of ways, including at the front and rear wheels, at the bracket where the two pedal cranks connect, where the handlebars turn and even in the pedals. 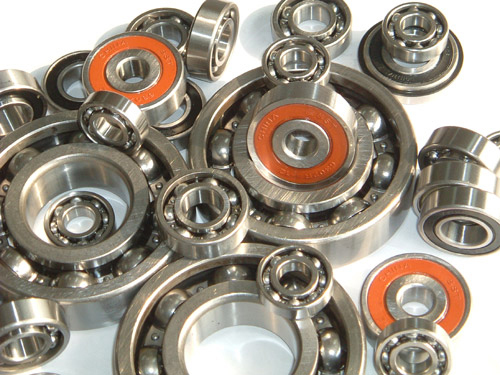 Ball bearings are a simple mechanism with a huge variety of different applications. These are just a few examples of how ball bearings are used in the equipment, toys and devices that we use every day. Here are some of the interesting ways that ball bearings are used which you might not have been aware of. Visit www.bearingboys.co.uk for all of your ball bearing needs.